Tornado damage in Rosedale Courts, a neighborhood of one-story government assistance housing in Tuscaloosa. On April 27th a historic tornado outbreak ravaged six Southern states, killing hundreds, injuring many more, flattening neighborhoods and forcing the closure of a nuclear power plant in Alabama, the hardest-hit state. 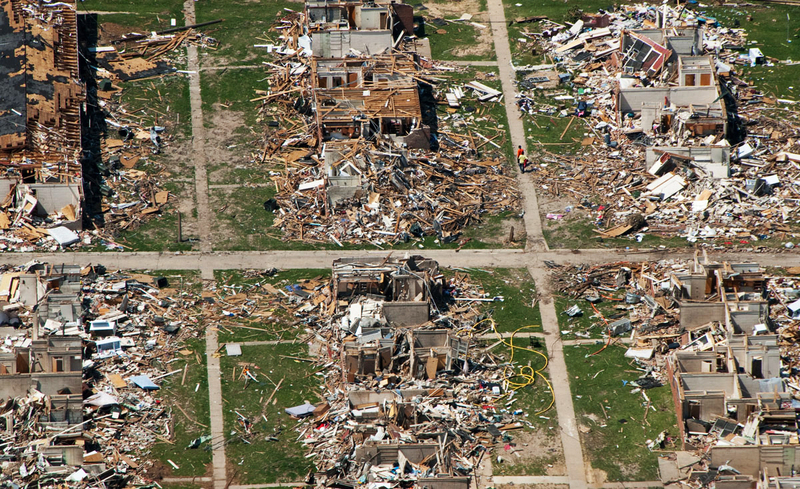 It was believed to be the deadliest U.S. tornado in 37 years.